Houghton Mifflin Harcourt, 9780618982660, 352pp. In the heart of the Ottoman Empire as World War I rages, Stepan Miskjian’s world becomes undone. He is separated from his family as they are swept up in the government’s mass deportation of Armenians into internment camps. Gradually realizing the unthinkable—that they are all being driven to their deaths—he fights, through starvation and thirst, not to lose hope. Just before killing squads slaughter his caravan during a forced desert march, Stepan manages to escape, making a perilous six-day trek to the Euphrates River carrying nothing more than two cups of water and one gold coin. In his desperate bid for survival, Stepan dons disguises, outmaneuvers gendarmes, and, when he least expects it, encounters the miraculous kindness of strangers. The Hundred-Year Walk alternates between Stepan’s saga and another journey that takes place a century later, after his family discovers his long-lost journals. Reading this rare firsthand account, his granddaughter Dawn MacKeen finds herself first drawn into the colorful bazaars before the war and then into the horrors Stepan later endured. Inspired to retrace his steps, she sets out alone to Turkey and Syria, shadowing her resourceful, resilient grandfather across a landscape still rife with tension. With his journals guiding her, she grows ever closer to the man she barely knew as a child. Their shared story is a testament to family, to home, and to the power of the human spirit to transcend the barriers of religion, ethnicity, and even time itself. DAWN ANAHID MACKEEN is an award-winning investigative journalist who spent nearly a decade on her grandfather’s story. Previously she was a staff writer at Salon, Newsday, and Smart Money. Her work has appeared in the New York Times Magazine, Elle, the Los Angeles Times, and elsewhere. She lives in Southern California. "MacKeen weaves multiple historical sources for corroboration and context, but her main material, Stepan’s unpublished memoir, lands the emotional punch of personal narrative. MacKeen’s added perspective is what makes this book though. A moving portrait of one family’s relationship to the past that offers surprising hope for reconciliation." "MacKeen doesn’t shirk from recounting the grisly details of genocide, describing brutal beatings, hunger to the point of cannibalism, and thirst to the point of urine-drinking. With a health-care reporter’s deft touch, she manages to play down the utter pathos, but her dedication to baring gruesome facts is as unfailing as her loyalty to the mission thrust upon her." "Investigative journalist MacKeen always knew her grandfather escaped the Armenian Genocide before building a new life in the United States, but much of her family’s incredible origins were masked by time, cultural boundaries, and systematic government denial. 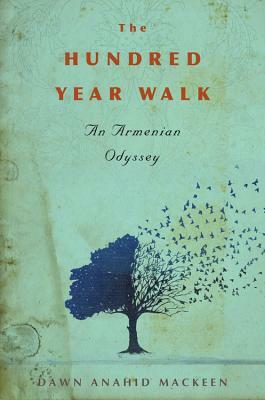 The author set out to bring her family’s past into the present by translating her grandfather Stepan Miskjian’s exhaustive personal journals, researching archival documents, and traveling to Turkey and Syria to retrace his steps and meet the Muslim family that saved him and other Armenians from certain death. The narrative alternates perspectives between MacKeen’s quest and her grandfather’s odyssey. Through his journals, Stepan came alive. He was no longer solely the victim of a holocaust, but clever, hard-working, and even a prankster. He was a peddler, an entrepreneur, a soldier for the Ottoman Empire during World War I, and a highly valued servant of a powerful Sheikh. VERDICT This previously untold story of survival and personal fortitude is on par with Laura Hillenbrand’s Unbroken. Further, this is a tale of tracing your family roots and learning about who you are. It will have broad appeal for a wide range of readers." “By telling the riveting story of her grandfather Stepan, who—like the armies of refugees today—overcame daunting odds as he braved the Turkish gauntlet of death and walked across desert sands to safety, Dawn MacKeen drives home that we’re all part of the human family. The Hundred-Year Walk is an unforgettable contribution to the literature of suffering and memory, and to the growing conviction that we must say ‘Never again’ to the mass destruction of human life and culture."